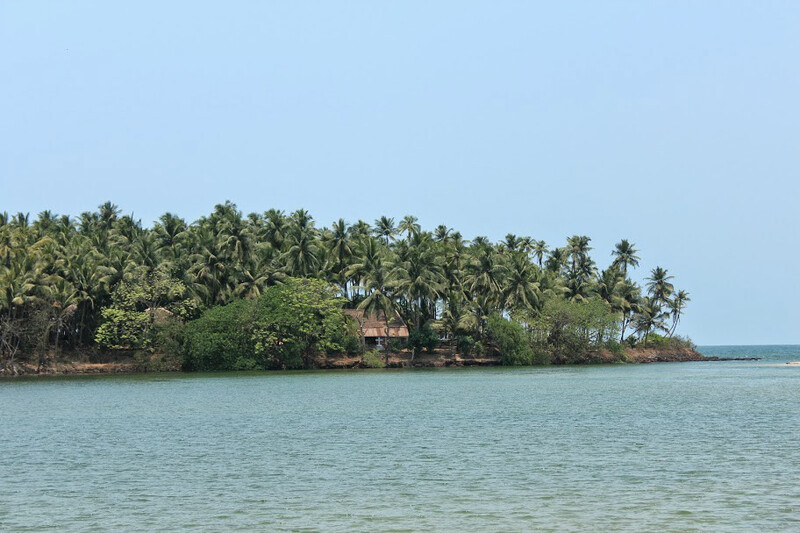 Adventures in the Konkan land – III – Kolhapur to Malvan – Welcome to the Konkan Coast ! | Highway - the only way ! 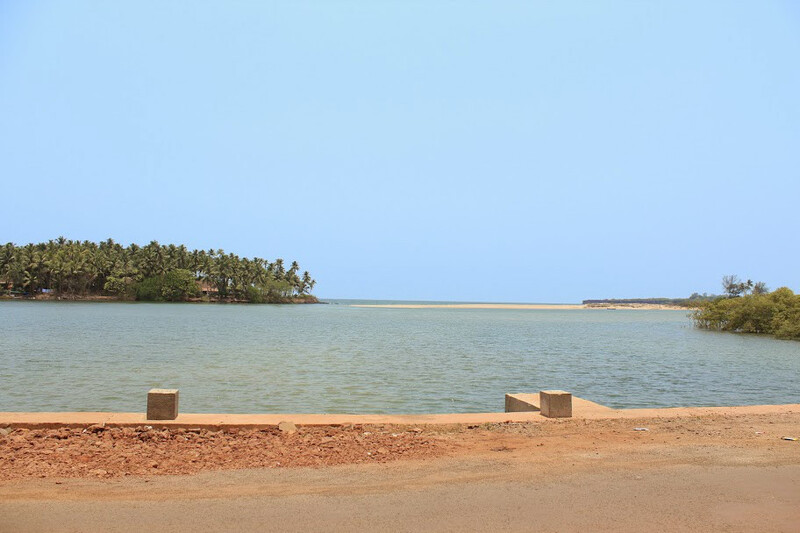 Adventures in the Konkan land – III – Kolhapur to Malvan – Welcome to the Konkan Coast ! When you travel, the journey is as important as the destination, the sights, the discussions, people, anecdotes, these are all as memorable as the awesome places you visit. Especially, on a road trip, the drive becomes the most important part of your travel and when your drive is through one of the most beautiful regions on the country, you couldn’t ask for anything better ! We started from Kolhapur a little past 8 AM. 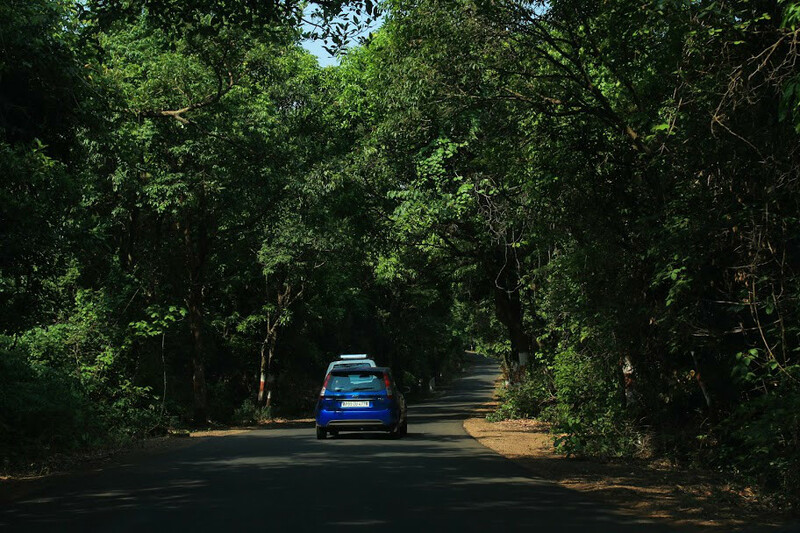 The 174 odd kms between Kolhapur and Malvan is a paradise for those who love the road. The scenes are so pretty, you would want to stop every now and then for pictures and to simply stand and stare. 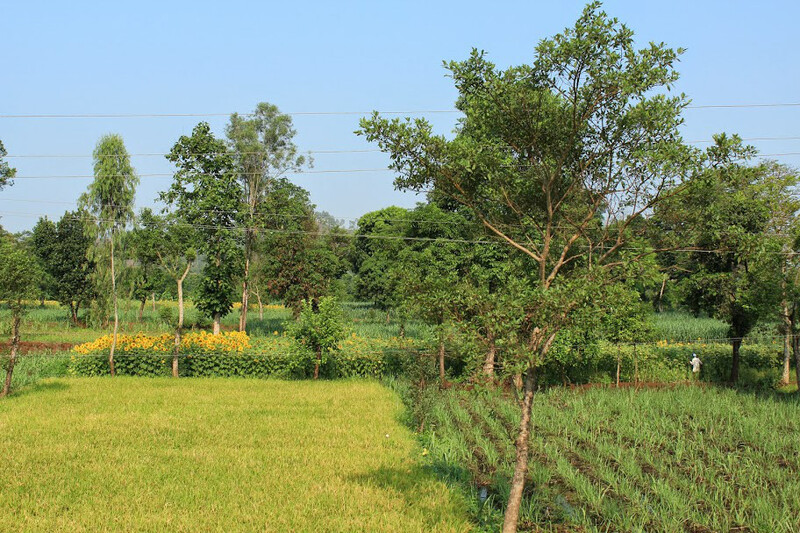 We passed by the green fields dotted with sunflowers. Then the highway took us through lush green woods. We drove past terrace fields and tiny villages nestled in the valley between the hills. Shortly after, we screeched to a halt near a curve on the small ghat road because we spotted a fantastic sight all of a sudden ! We were standing on the ghat road, looking below at the Radhanagari Dam, one of the oldest dams to be commissioned in India, way back in 1907. 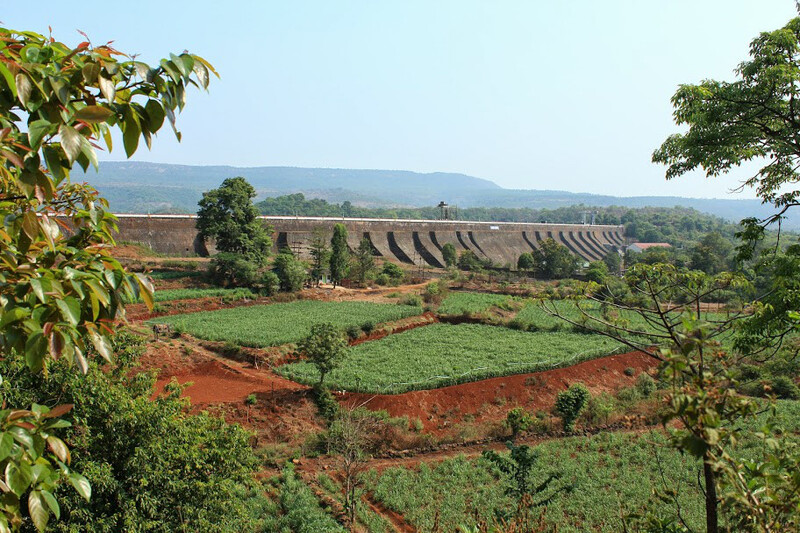 We had no idea that there was dam in Radhanagari or that it could be viewed from the highway or that the green fields, the red soil and the brown coloured dam would present such a beautiful sight ! Such pleasant surprises along the highway add to the experience of a road trip. It gets prettier by the mile ! As we drove further, the views got more picturesque, this time the road took us through thick forest areas, the green canopy almost blocked out the sunlight at times. It felt like we were travelling through a natural tunnel ! The highway threw some more beautiful surprises at us along the way. This time we spotted a vast dry bed of what looked like a lake. To reach the spot, we had to climb down a steep slope with loose pebbles that seemed to slip the moment you placed a foot on them ! When we finally managed to get down, this is what we saw and for a minute we thought we had suddenly landed up in some fantasy world ! It was just a simple bridge archway but the stream flowing through it, the hills in the background, pin drop silence except for the sound of the cool breeze and the dry land that stretched as far as we could see, gave it a fairy tale feel ! 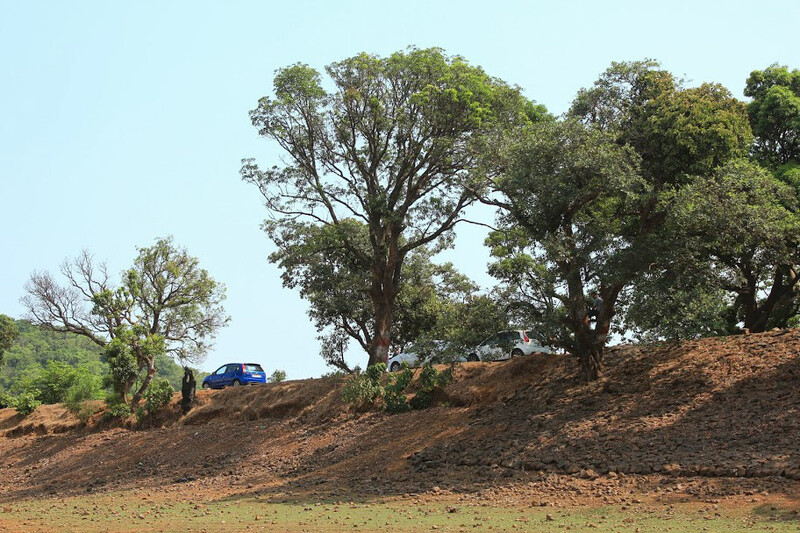 What stood out for us throughout the drive was the contrasting colours, green trees, blue sky, brown hills, red soil and the grey road. This riot of colours stay in your mind long after you leave the place. 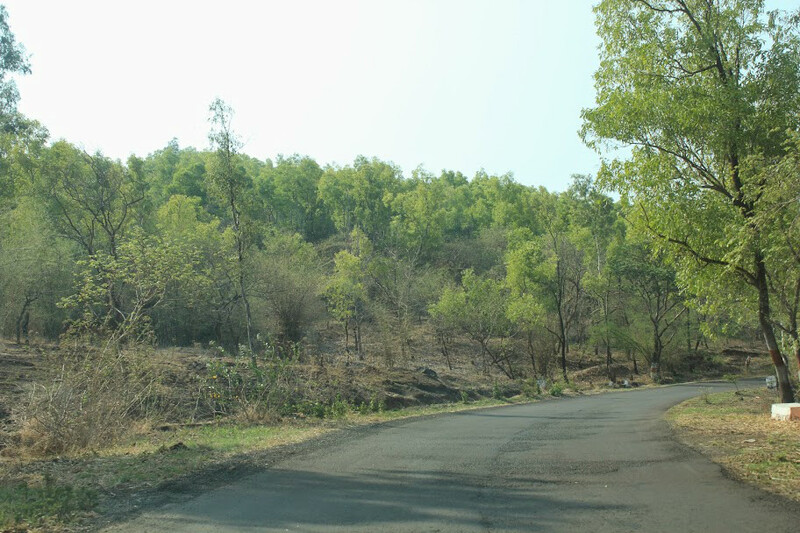 Soon, the landscape changed and we once again hit a ghat road, this time we officially entered into the Konkan. 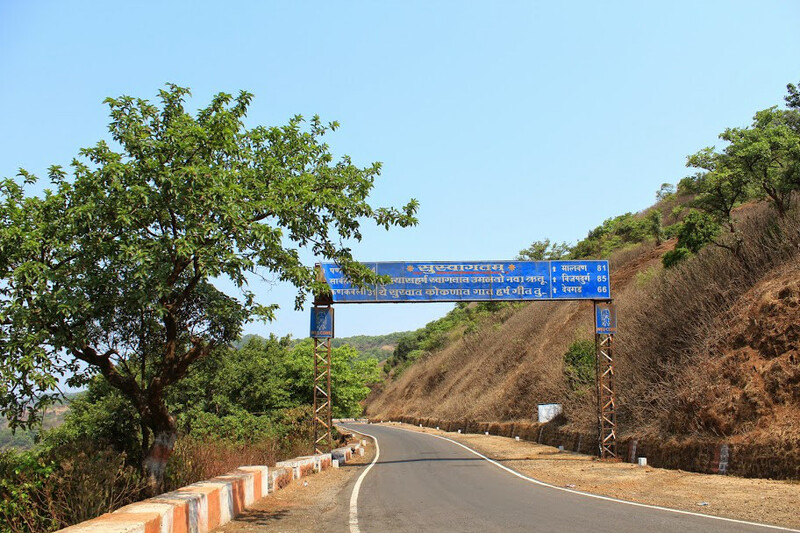 “Saharsh Swagatham”, the welcome board said along with a little poem in Marathi, we thought it was a great way to welcome people to the Konkan land ! Most sign boards in Maharashtra give you a very “hearty welcome”. We tried a rough translation through some common Hindi/Sanskrit words we knew, “the new season gives you a hearty welcome, the Konkan land begins here, sing a happy song !” We may have got it entirely wrong but we loved this version of the lines ! The highway took us on a ghat road with mesmerising views of the Western Ghats and the valleys. It was peak Summer and most of the hills were a dull brown, the monsoon season is when one should really travel on these roads. We reached Phondaghat around 11 AM. 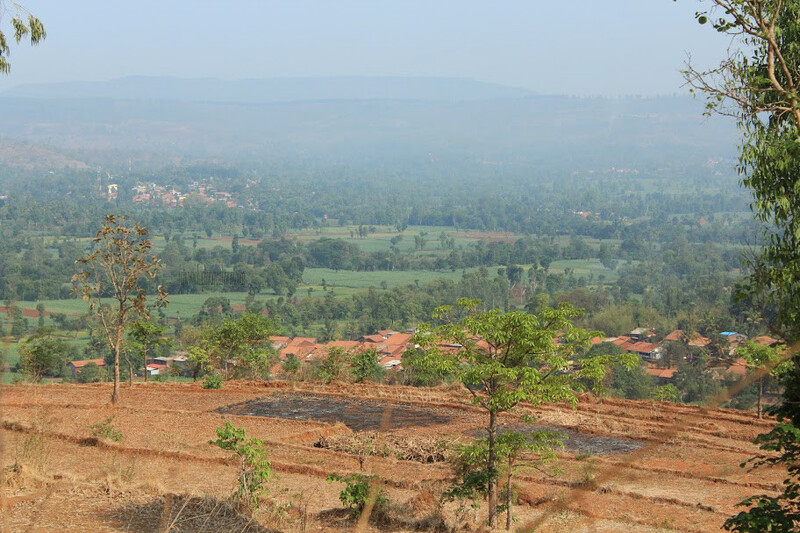 Phondaghat is a small hill town enroute Malvan. Though it was close to noon in Summer, at Phondaghat, the weather was very pleasant with a chill breeze. None of us was in a mood for lunch but when we spotted a Vada Pav stall, we decided there was no greater lunch idea than Vada Pav ! The stall owner made enough money for the whole year as 10 of us gobbled up almost all his stock of Vada Pavs ! 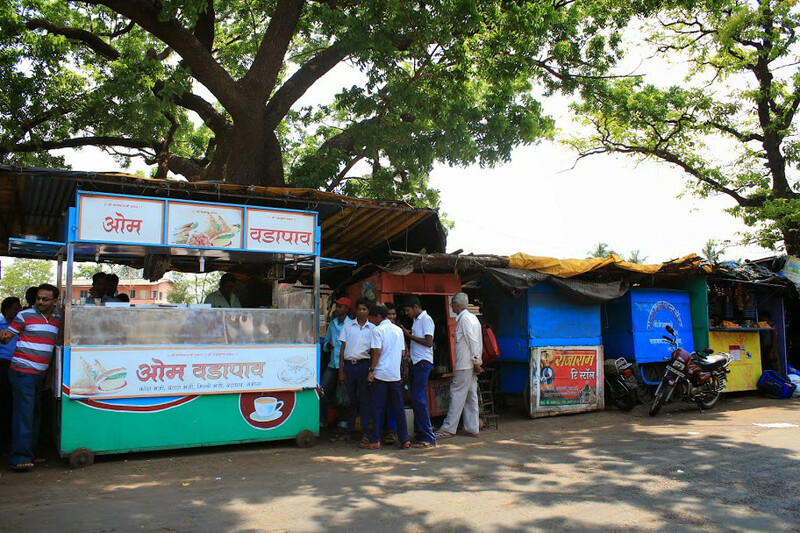 Food and travel, what a combination ! 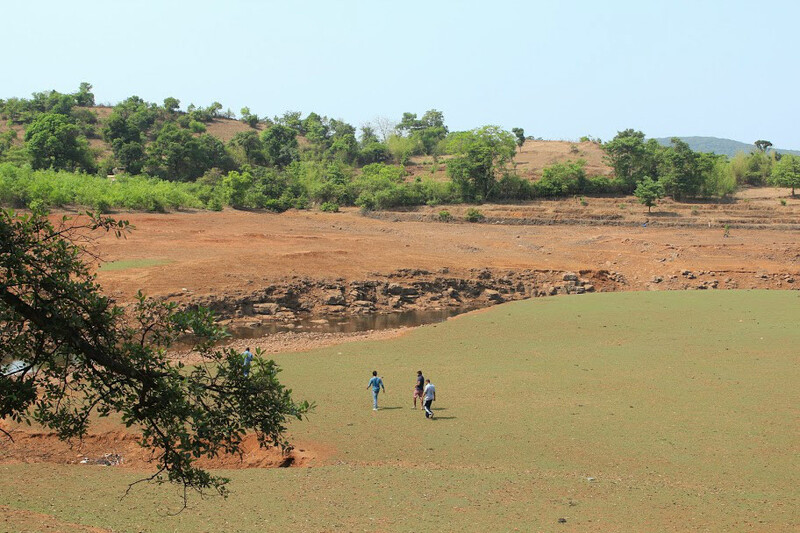 We had to wade through a busy market road to cross Phondaghat and after a short distance, we were driving down the ghat road approaching the plains of the Konkan coast. A good one hour later, we could see the land flattening out and sandy soil on either side of the road. 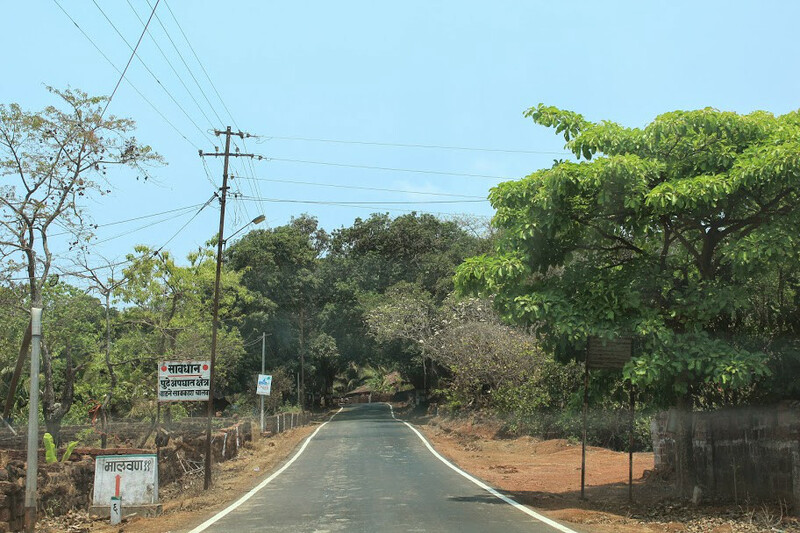 We needn’t have thought much, we were close to our destination, Malvan. Throughout the highways in Maharashtra, you will find sign boards warning people to be attentive while driving, to control speed and to drive safely, each sign board has a creative punchline, very lyrical. It was lunch time when we reached Malvan. 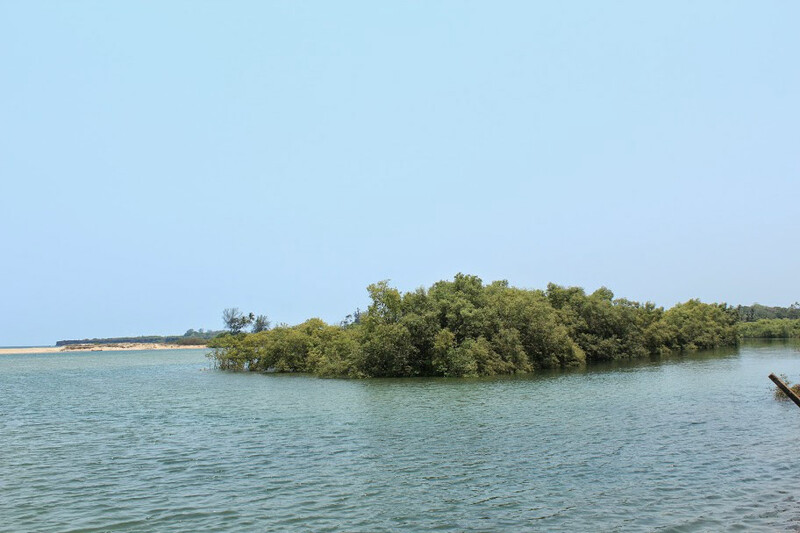 Located on the Konkan coast, Malvan is a small village by the sea, now famous for Scuba Diving and other water sports. it was the perfect sea view ! We had arrived at Malvan but we had to go round and round in search of our resort, Daryasarang, mainly because we couldn’t understand the language much ! Finally, we found tiny road leading to our resort. 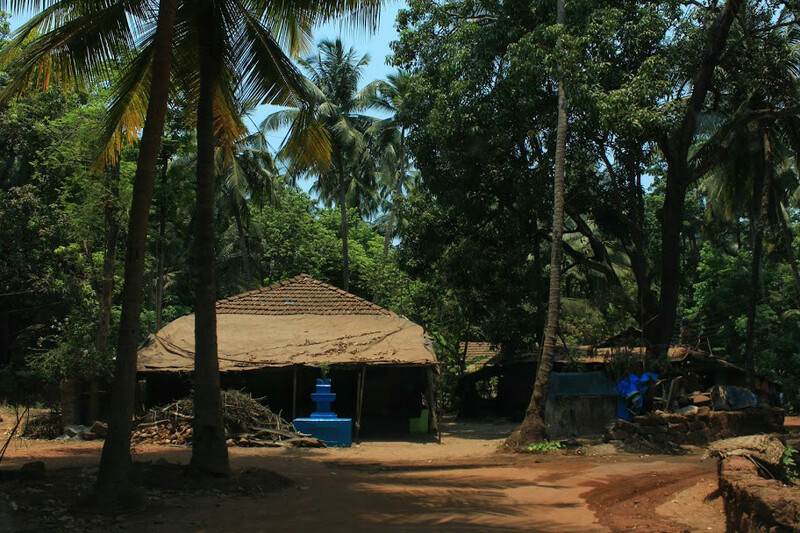 The dirt track lead us through the sleepy little village, snuggled under the shade of the coconut trees. We checked in to our resort, freshened up and were ready for our first ever Scuba Diving adventure ! 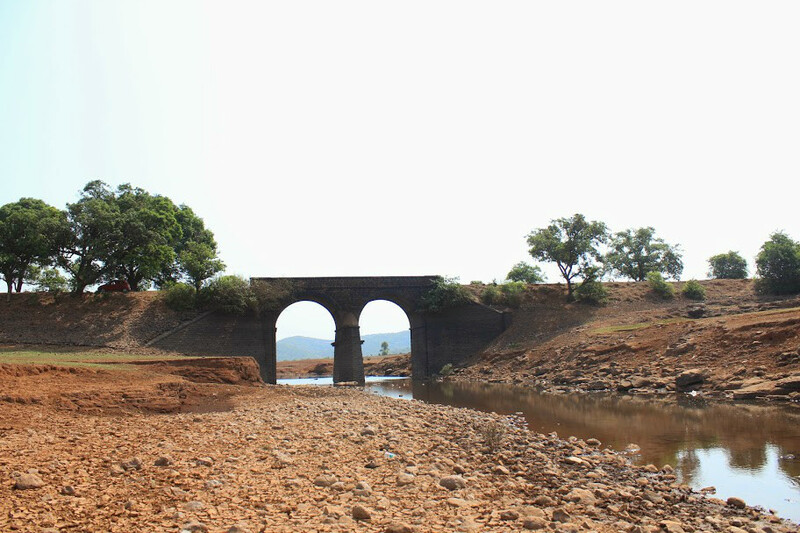 Konkan is well-known for its natural beauty … Visit once to have a memory of lifetime.